Oil Falls: Will India Reform? Falling oil prices are giving the Indian government a window of opportunity to reform. In 2013, the current Finance Minister of India Arun Jaitley stated: “Reform is the art of the possible.” At the time, Jaitley was in opposition and was attacking the slow pace of reforms under the UPA government; effectively arguing that while reforms are difficult because of opposition, there are always some that are possible. Until about a month ago, the new BJP government largely lived up to this statement and limited itself to minor changes, steering clear of reforms that would cause opposition. Then, about a month ago, the pace of reforms suddenly accelerated. During this time, the price of oil also fell dramatically. Has the rapid decline in the price of oil changed the realm of what reforms are possible? Economic reforms are always hard to implement. There are groups that benefit under current policies and that will oppose reforms, even if the changes would improve the economy in the long term. This is particularly true when the reforms involve populist polices such as fuel subsidies or state-ownership of firms, policies that affect large numbers of voters. How can reform-minded governments overcome opposition from voters who benefit under the status quo? In the case of India, the government has effectively dodged this question for more than twenty years and simply avoided the most contentious reforms. Now, though, the sharp drop in the price of oil may have provided a means of reforming without opposition. 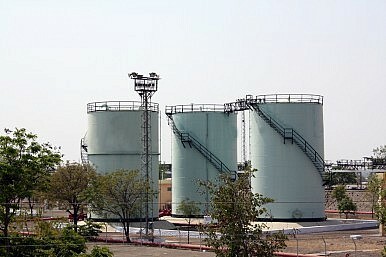 India has minimal petroleum reserves and has always been dependent on oil imports. Rising oil prices have caused the two largest financial crises in India to date. During the 1970s, as oil prices skyrocketed, India bounced from crisis to crisis. Indira Gandhi, the prime minister at the time, responded with a host of populist economic policies including nationalizing coal production and oil refineries. In 1991, during sky rocketing oil prices linked to the crisis in the Persian Gulf, India experienced a massive current accounts deficit caused by a spike in prices of imported oil and was forced to turn to the IMF for a bailout. This crisis is often credited with beginning the gradual reforms that have haltingly continued ever since. The IMF bailout was conditioned on some level of reform, forcing the government’s hand. However, the pace of change has always been extremely slow and, under the previous UPA led government, had effectively stalled. The new BJP-led government came into office, in part, on promising to change this. Since 2010, GDP growth in India has been far too low to create jobs for the nearly one million new workers entering the labor force each month, Additionally, double-digit inflation has become the norm in recent years. Voters want the BJP to boost the economy and reduce inflation; however, overcoming opposition to specific reforms, to fuel subsidies for example, is still an incredibly difficult proposition. That is until the price of oil collapsed. Last month, inflation in India hit a 5-year low, mirroring the decline in international oil prices. Just days after the inflation numbers came out the government announced it would ease controls on fuel prices, one of the hardest reforms to implement because nearly all voters are affected by the price of fuel. However, despite the easing of price controls, the real price of fuel in India actually declined, a reflection of falling global oil prices. Thus, the average voter has not been affected by the reduction in price controls. Similarly, the government recently announced that it would sell shares in state-owned coal and refinery firms – the same firms that Indira Gandhi nationalized in the 1970s when fuel prices were skyrocketing. In the short term then, the fall in oil prices is allowing the government to push through contentious reforms with minimal opposition. In the long term, the issue is of course much less clear. Falling oil prices are at least in part a reflection of the faltering economic recovery in the global economy, particularly in the euro zone, as well as slowing growth in China. Should the global economy improve, it will have implications for the government’s plan to increase employment. The BJP has pledged to boost employment by increasing manufacturing exports, using the slogan “Made in India.” Economists for years have noted that even at its height in the early 2000s, India’s growth was unique in how few jobs it created, attributable to the fact that it was not being driven by low-cost export manufacturing as was the case for the Asian Tigers such as Taiwan, South Korea and Singapore. Therefore, the government’s effort to pump up manufacturing exports has widespread support. However, it will have a hard time finding traction if the global economy continues to sputter. Therein lies the catch-22 for the present government. The collapse in oil prices has reduced budgetary and inflation pressures and allowed for reforms; but unless the global economy recovers, the Indian economy will ultimately fail to achieve the growth it needs. Without that growth, and specifically export manufacturing growth, the government cannot create the enormous number of jobs needed to employ India’s growing labor force. But if the global economy does pick up steam, oil prices could begin to rise again, putting pressure back on the budget and prices. The government must hope that the reforms it pushes though will improve the competiveness of Indian exports by the time the global economy recovers. Otherwise, when the recovery does occur and the price of oil begins to rise, inflation and large budget deficits could return with a vengeance. If this happens, the notoriously impatient Indian electorate may well turn to a government that brings back the populist policies of previous periods.